212 pages, 293 illustrations in colour and 26 black and white ISBN 978-88-8435-002-2. The 2017 Carlo Scarpa Prize is dedicated to the little Jardín de Cactus on the volcanic island of Lanzarote, part of a unique system of cultivated quarries and craters embodying the fertile equilibrium between nature and culture on the island. 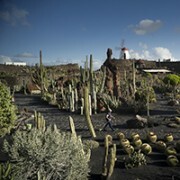 The Guatiza quarry garden is one of the most important projects realized by the artist César Manrique (1919-1992) using the traditional farming techniques of the island: terracing, spreading layers of picón or volcanic ash on the soil, raising stone windbreaks and cultivating plants. 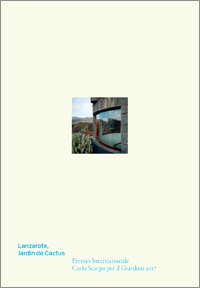 The dossier Lanzarote, Jardín de Cactus is distributed out of sale by the Fondazione Benetton and on sale by Antiga Edizioni (info@graficheantiga.it), cover price 20 euros; the entire edition is published in Italian and in English. Dossiers devoted to places awarded the Carlo Scarpa Prize have been published annual since 1993. They are presented on the occasion of the public ceremony at which the Prize is awarded. 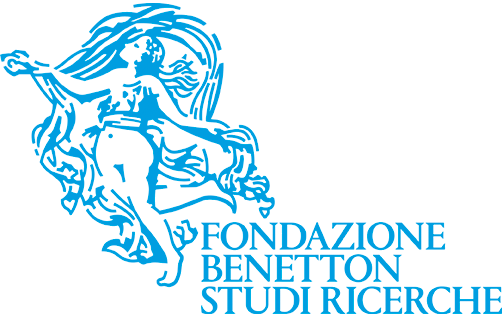 Publishing coordination, editing and graphics by the publications office of the Fondazione Benetton Studi Ricerche.